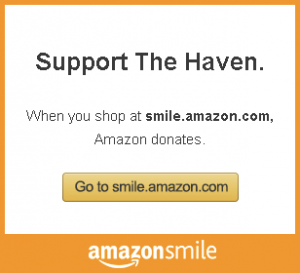 The Haven exists to enhance the quality of life for individuals by encouraging independence, championing inclusion and advocating for individual rights. Together, we can create a world where people with disabilities are included and celebrated for who they truly are — talented and incredible human beings. We make it a point to select positive, compassionate, hard-working individuals who enjoy giving back to their community in a rewarding and purposeful environment. We invite you to join our cause and connect with others in our community who are working to make a difference. We’re excited to feature Fitness Specialist TY Corbitt! What do you love most about The Haven? I truly love how excited the clients are about being apart of the TR.Fitness program at The Haven. Tell us about your favorite funny Haven story! So many funny moments happen here all the time. The one I remember the most was how surprised a few of the clients were, when I showed up for the Tim Tebow event. And how everyone had to have a dance. To see them so happy and full of life was amazing. I am a personal trainer and I used to play professional football. I work with kids over the summer & during the school year with sports and big brother support. I am from Myrtle Beach, SC. I am working to come an IFBB Pro Men’s Physique Athlete in 2018. I plan to use my platform as an athlete at The Haven and grow the TR.Fitness program to help others reach their goals. What is your most favorite inspiring quote or thought?